Our Sales and Service & Maintenance team will be present at the 40th Cannes Yachting Festival from 12 to 17 September 2017. Nearly 600 boats are displayed in water and on land in these two ports, including around one hundred world premieres. During Cannes Yachting Festival, we will present the Caterpillar engine : the C8.7 – 650HP @ 2300rpm. As every year we welcome you to our stand, “Jetée Albert Edouard” in “Le vieux Port” where most of the most beautiful boats are present. 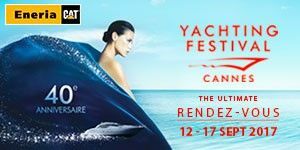 Share the post "Cannes Yachting Festival – 12th to 17th September 2017"